Pop. 1,095. 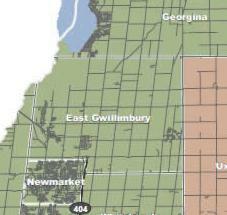 Part of the Towns of Vaughan and Markham, Reg. Mun. of York on Hwy 407 and C. Rds. 1 & 7. Named after John Langstaff of Amboy, NJ, who settled in 1808 and was the first teacher in the local school. Pop. 2,500. 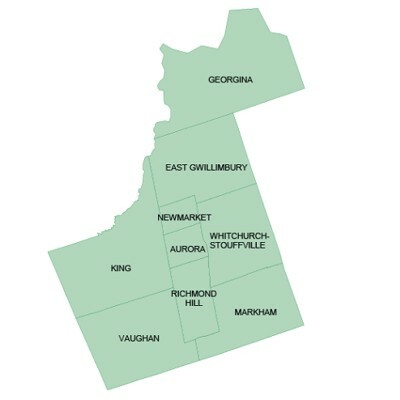 Part of the Town of Richmond Hill in the Reg. Mun. of York, on C. Rds. 1& 11,32 km.. N of Toronto. Pop. 180. In King T., York C. on C. Rd. 53, 3 km. W of Aurora. First known as Coates' Corners and then Hainstock's Corners, the community got its present name in 1850. Pop. 93,819. Town in Reg. Mun. of York, on Hwys 404 & 407, 16 km. N of Toronto. Balser Munshaw was the first settler, in 1794, but did not stay; nor did the next two settlers, John and Edward Stooks. In the Town of Whitchurch-Stouffville, York Region on C. Rd. 8 9 km E of Aurora. Pop. 1,377. In the Reg. Mun. of York on C. Rds. 11 & 34,10 km N ofRicbmond Hill. The community was named in honour of Col. William Willcocks, first postmaster of York (Toronto). Pop. 165. In Whitchurch-Stouffville, York Reg. on Hwy48, 13 km. NE of Aurora. In 1858 the community was named after Ballintra in County Donegal, Ireland. Pop. 509. Part of the Town of Markham in the Reg. Mun. of York, 16 km. NE ofToronto. 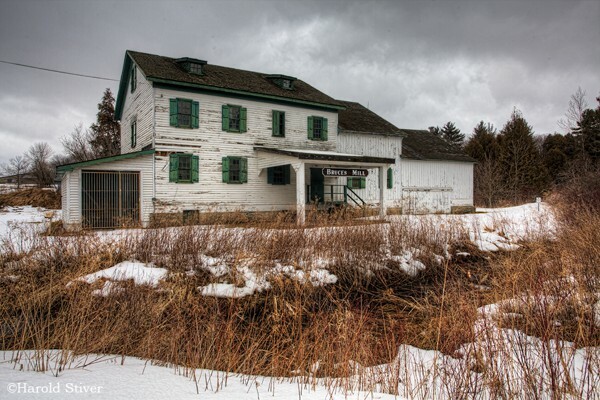 The post office was established in 1858 and named Milliken after early settler Norman Milliken. In Whitchurch T, Reg. Mun. of York on C. Rd. 69, 27 km NE of Toronto. Named for the Musselman family. Pop. 12,884. In Markham and Whitchurch Ts., Reg. Mun. of York, on Duffin’s Cr. and C. Rds. 14 & 30, 45 km NE of Toronto. 2 ATM machines on premises. Pop. 18,642. A town in the Reg. Mun. 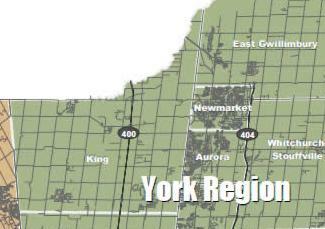 of York created in 1971 by regional government by the incorporation of parts of Whitchurch T. and Markham T. and the Village of Stouffville.